Set in mature and impeccably manicured grounds with fantastic views out to the sparking sea and the popular seaside town of Kissamos beyond. 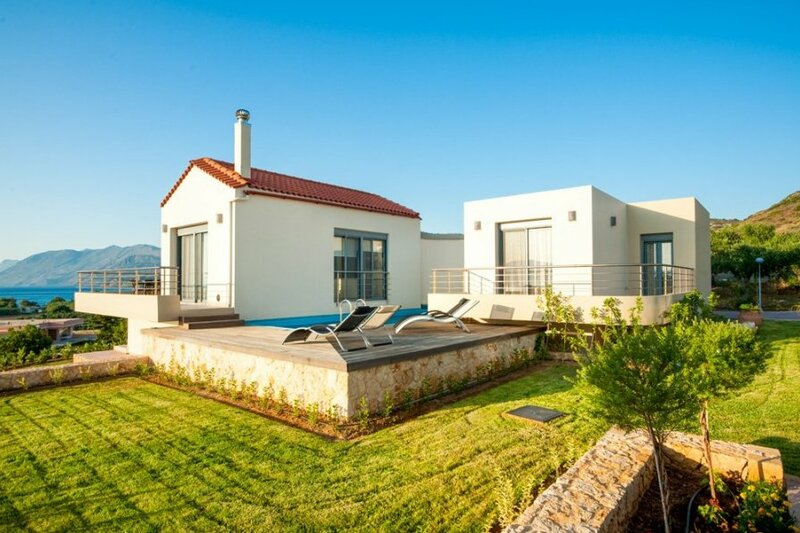 Set in mature and impeccably manicured grounds with fantastic views out to the sparking sea and the popular seaside town of Kissamos beyond, Villa Levantes boasts one of the most privileged locations along this picturesque Cretan coastline. Boasting a panoramic vista, a short drive from the airport and within a 5-minute drive from the resort facilities, in other words, the owners have pretty much got the setting just right. The pretty town of Kissamos with its selection of tavernas and shops is a short drive away, while the lovely local beach at Nopigeia can be reached in 10 minutes by foot. Framed by lovely mature gardens and sprinkled with loungers, the attractive pool area is an idyllic and luxurious spot to unwind and soak of the views, or simply immerse yourself in a good book with a chilled glass of local wine to hand. The high levels of comfort and quality are even more abundant as you step inside where you'll find a fabulously contemporary and airy open plan space on the ground floor, where no expense has been spared in providing a truly superb family Villa. There are 2 lovely bedrooms located on the ground floor, located via a glass walkway over the sparkling swimming pool below! The 3rd bedroom can be found downstairs.